Insurance might view itself as a fast-moving 21st-century industry, but that’s not a view shared by everyone. Employees and customers tend to view the industry more like teenage children watching their parents dance at a wedding. They don’t understand why they have to try to prove they used to be really something and wishes they didn’t have to watch them do it in public. This is a view that pervades both developed and developing markets, according to the research done by Consumer Intelligence in partnership with The Digital Insurer. The business is changing and the very spaces that business has been conducted from is no longer fit for purpose. As a result, many insurers are looking at how the physical environment – their offices – can add to productivity, improve efficiency and serve customers better. The work environment must, therefore, articulate the brand yet also align with organisational structures, work processes, technology and HR policies. Improving the workplace has a significant impact on employees while cutting costs. That used to mean moving out of expensive corporate offices into nuclear bunkers on out of town industrial estate. Real estate and human capital are the two biggest expenditures for business, but companies now understand that the more they treat employees like an internal customer, the more effective they are at looking after customers as they are more aligned with the company’s objectives and operate as advocates of the brand. This has gone a far as “curated experiences that provide employees with à la carte workplace experiences, services and support”, but this includes creating space that is sustainable for the environment and its occupants. This paper looks at the pressures facing insurance companies and the potential that can be harnessed from taking a different approach to incorporating the built environment within the fabric of the culture. It includes a number of interesting case studies of these projects in North America and Asia. OK, so what has the built environment got to do with insurtech, right? Well, quite a lot, actually. As technology begins to take over greater parts of the industry, so the call on corporate square footage is different. The vast computer or server rooms may still exist, but as more services are serviced by third parties remotely or in the cloud, they are reducing in size. Business is also realising that happy employees are efficient brand advocates and this can be achieved by developing happy workers. This goes far beyond preventing reputational risk or becoming an ‘employer of choice’ to having the people who actually deal with your clients reinforcing the brand values. In simple terms, this is achieved by giving them more space, better light and services that make their lives easier. 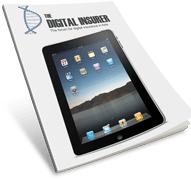 In reality, it is a more complex process, but this paper highlights some interesting developments in this area, which was covered in the 10th prediction of Insurtech 10, produced by KPMG in partnership with The Digital Insurer.